Personalized Tech Cross Body Tote. Classic cotton tote for work or play. Modern style with large main compartment. Interior pocket for storing smart phone or small accessories. Attractive embroidered tech cross body tote bag. Side water bottle holder and adjustable straps for over the shoulder or cross body carry. Lightweight tote great for travel, business or school-campus. 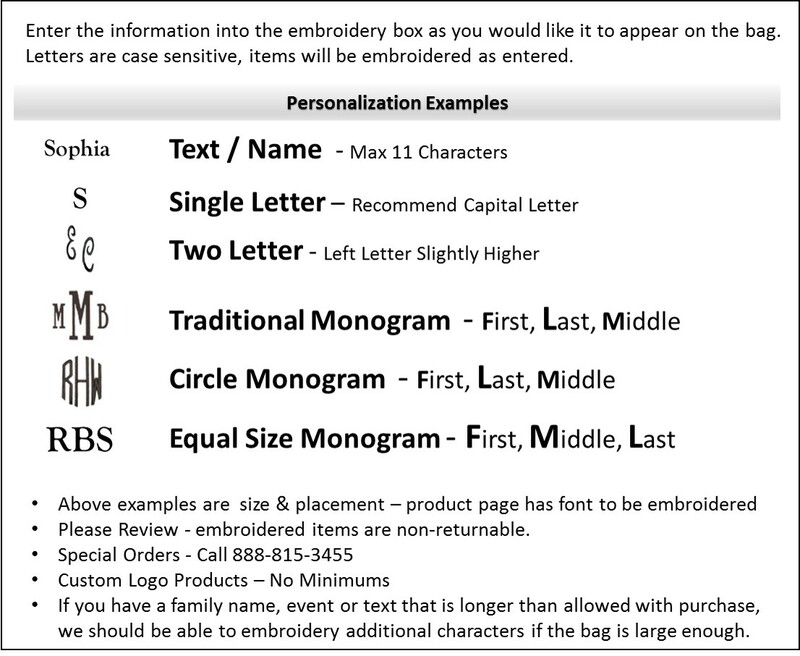 THIS ITEM IS AVAILABLE FOR LOGO CUSTOMIZATION... CALL 888-815-3455 FOR ADDITIONAL INFORMATION. Tote with embroidery and cross body strap measures 16H" x 13.5" wide and 4.25" across the bottom.